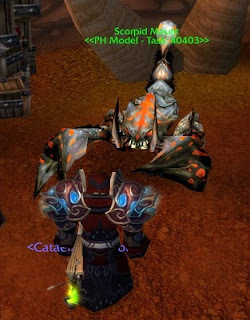 "Old Weather Flying" has been implemented in Cataclysm. As exalted with Orgimmar, it cost me 200g. 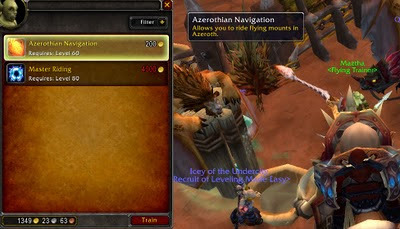 To this end, I suggest you finish your rep grind with Orgimmar before Cataclysm drops. Wow.com has this training at 250g. Elk finally got invited to a guild this afternoon. Working from home on Friday's does have perks. One of the cool guild perks this one has is it's own mount. It is currently selling for only a few silver, but that may change. ATM, I also cannot add it to my corral or ride it. A bugged bug?? 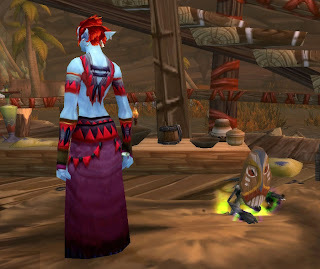 I also see a guild pet armadillo. (/giggle). 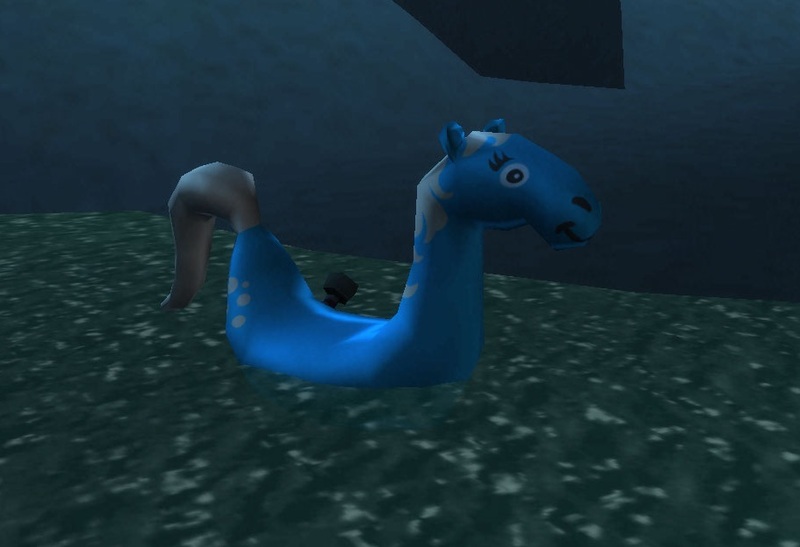 Oh, speaking of mounts, check out this one, yes it's an underwater mount, but darn cute. Imagine Elk on one!! Look like a Tauren on a Pally Pony. Yes, they do appear in more than the Goblin starting areas, see #2 found Vashjir. 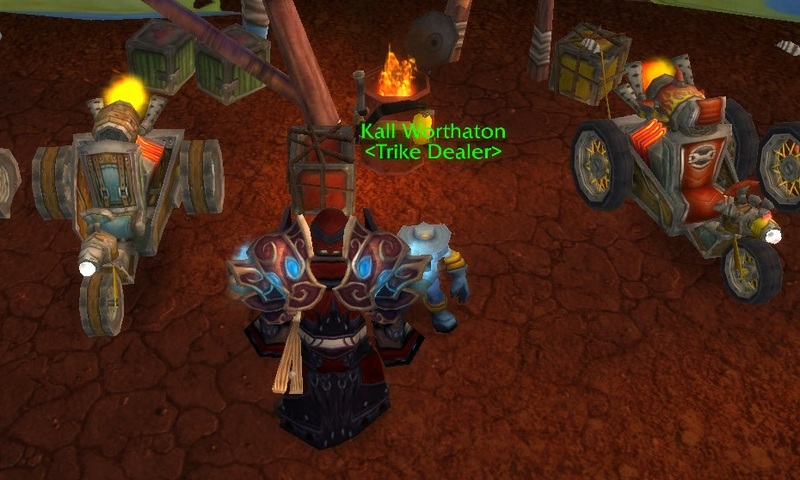 I had to laugh, when I saw this quest mount. It reminded me.. of well Austin Powers. 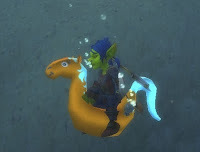 So, the last goblin mount wasn't really there, but these are officially available in the Goblin "slums". Finally, you gotta love the troll warlock trainer. 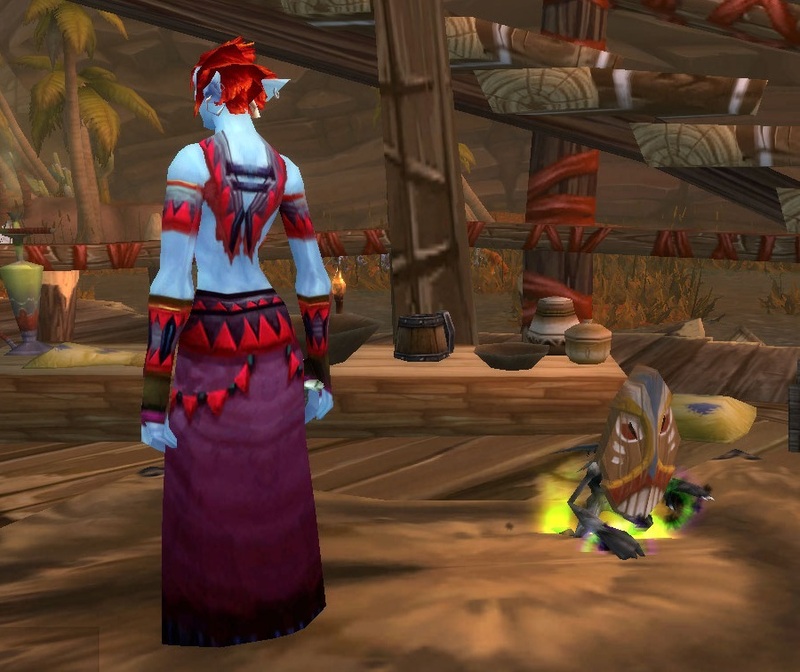 Ok the goblin warlock trainer constantly fighting with that other caster dps class is AWESOME. But this time the pet's get into it.